Over the course of a few months, it is common for probes to drift and they should be recalibrated when that occurs. 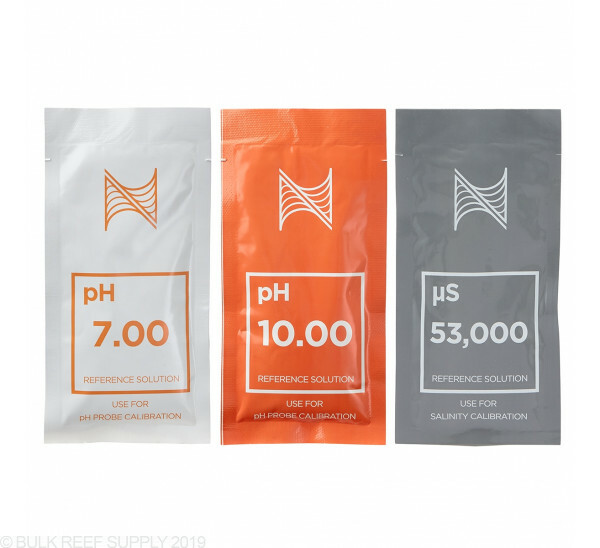 The Neptune Systems Probe Calibration Kit includes everything you need to calibrate your pH probe and salinity probe for reef tank conditions. 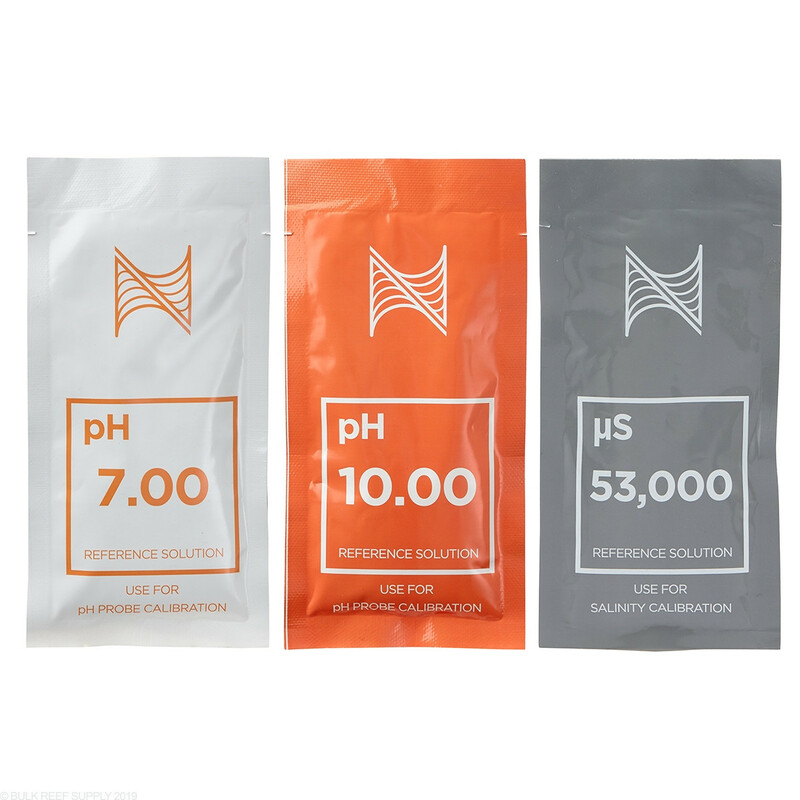 The single-use packets make calibration procedures easy and only requires clean water to rinse the probe between calibrations. Neptune Systems uses only quality ingredients when producing their calibration solutions ensuring accuracy. 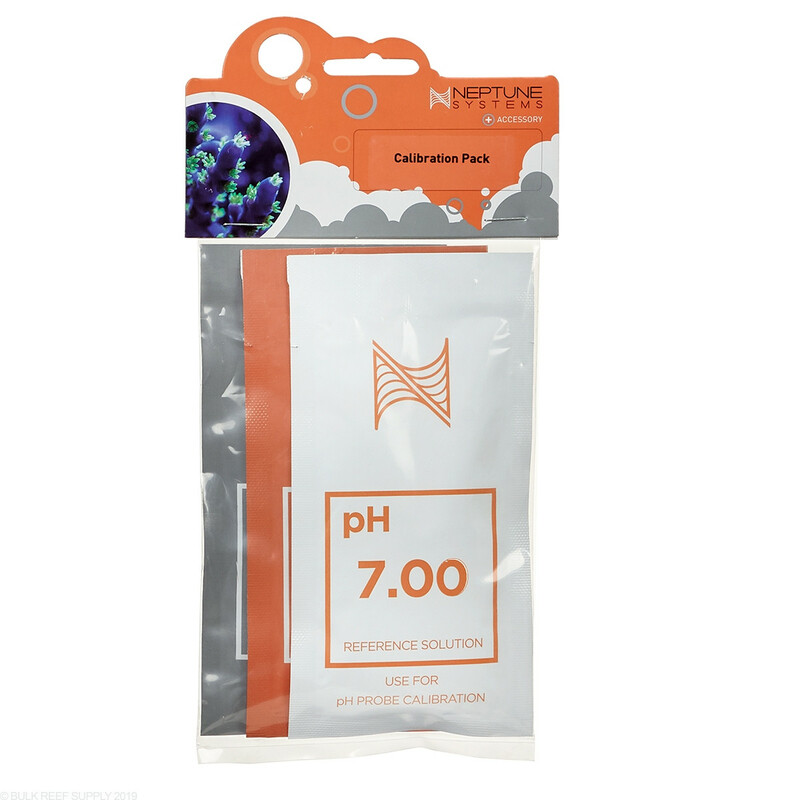 If you have a single junction or a double junction pH probe, you can use the pH 7.0 and 10.0 calibration solution packets. Most controllers will require a two-point calibration method that lets you calibrate the probe on each side of the range you will be reading allowing it to be correct anywhere in the middle of the two values. Just tear the top off and place your probe in the packet for a minute or so and follow the calibration directions for your controller. Neptune Systems Conductivity Probes require 53,000µs for calibration, as do many others. 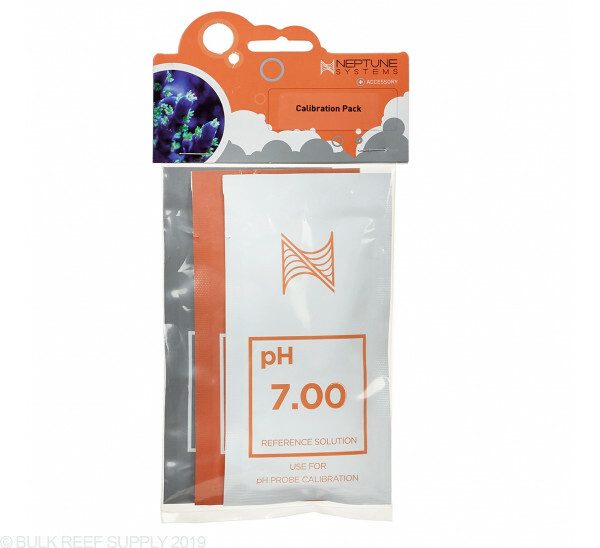 The single-use packet has contains a stable solution that replicates 35ppt as a conductivity solution making it perfect for reef tanks.